Now, to understand the... um, importance (read that Funny aspect) of this post, you need to know that I've teased my mom for years for taking pictures of flowers. It seemed like every other picture she showed me was of flowers. It totally cracked me up. And I hafta admit that it cracks me up even more because now I'm doing the same thing!! Truly. So, this week's letter F is for Flowers. Because I just can't resist. ...maybe because I like purple. This one grows wild all around us. 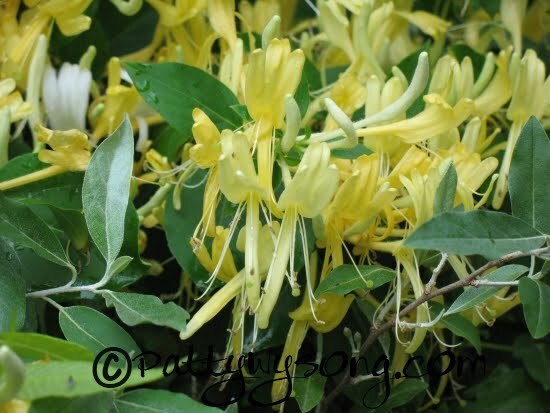 One of my favorite features of Spring is smelling the honeysuckle. Honeysuckle vines line much of the road along here and I love it. 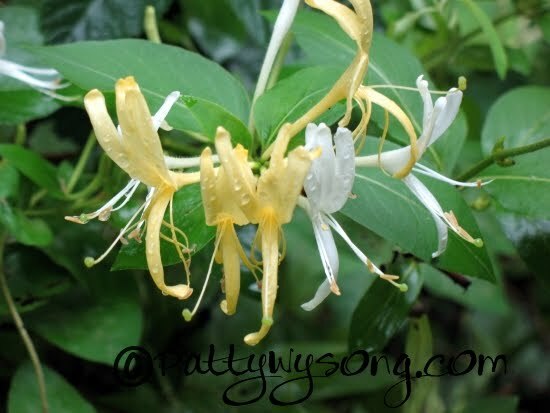 ...and the scent of honeysuckle after a rain? Heavenly! If you're joining us for the a 2 z 4 u & me meme by posting on your blog this week about the letter F, be sure to add your name and the link to that particular post in the linky gadget here. I wanted to post my linky but the box isn't here. I'll check back later and see if it's up. I like looking at everyone's letters. 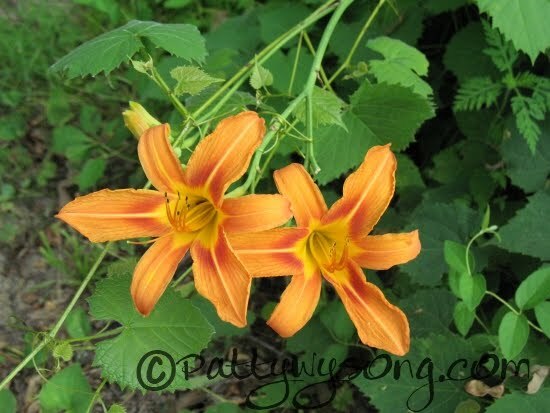 Love these beautiful flower pictures. I'll stop short of actual coveting, but sure wish I had some just like 'em. What an eye for beauty you and so many other encouragers have. And I get to enjoy the results of your hard work! I love flowers in all shapes and sizes, but my favorite are honey-sweet roses! I love the fragrances that God provided in nature-- like the calming scent of lavender! 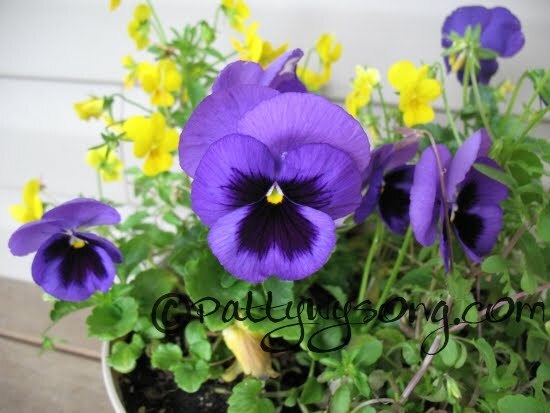 Pansies are one of my favorite flowers, too, I think because they have "faces" and are such rich colors. Love the pics! Looks like we have gardening in common. Beautiful pictures! Lovely flowers! And we have something in common. I, too, used to think it funny how many flower pictures my mom took. --But now I take a lot of them, too! Beautiful! While in my garden yesterday I noticed a ginormous bumblebee hovering about the purple flowers of a burdock plant (yet to be mowed) and thought about taking some pictures... I like yours better. 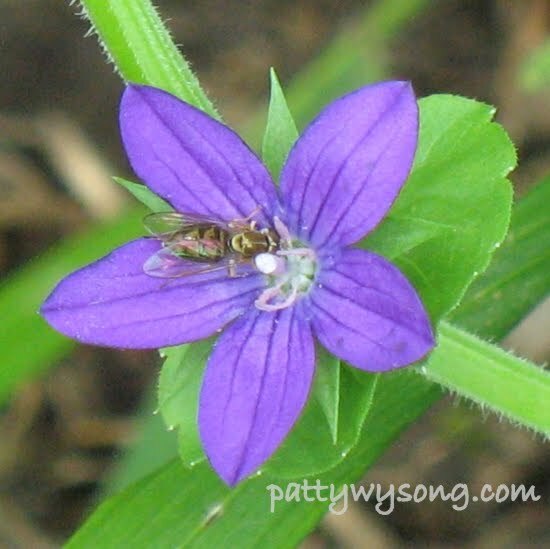 Your flowers won't turn into burs! Oooh, pretty! I love it. I like flowers...kinda...LOL...as long as they are perennials and I don't have to worry too much about them. (I tend to forget...) Lovely picys!